Much of my work is aimed at evaluating the roles of distinct monoamine transporters and receptor subtypes in the psychomotor and abuse-related effects of cocaine and amphetamine. A primary goal is to assess the potential of novel compounds as candidate medications for the treatment of psychosis (e.g., schizophrenia) or as pharmacological adjuncts for the treatment of cocaine abuse and dependence. Behavioral pharmacology is used to evaluate pharmacological mechanisms underlying the psychomotor stimulant, sensorimotor disruptive, discriminative stimulus and reinforcing effects of cocaine and related drugs. Novel compounds are evaluated in rats that self-administer cocaine to evaluate candidate pharmacotherapies for drug addiction. Mice that are genetically altered as a result of either targeted mutations (“reverse genetics”) or ENU-induced mutagenesis (“forward genetics”) are studied in order to assess the role of mouse genes in addiction- or psychosis-related behaviors. A new project is focused on genetic manipulations in rats that may complement studies of transgenic and knockout mice. 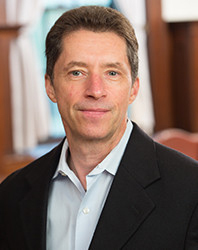 Major collaborations include studies of mice with targeted mutations in dopamine systems in collaboration with Ming Xu at the University of Cincinnati, studies of mice with random mutations in collaboration with Marc Caron at Duke University and Joe Takahashi at Northwestern University, and studies with novel cannabinoid ligands in rats in collaboration with Alex Makriyannis at Northeastern University. Brain targets currently under investigation in the laboratory include dopamine transporters and receptors (D1, D2, D3), serotonin transporters, glutamate receptors (mGluR5), glycine transporters (GlyT1), cannabinoid (CB1) receptors and muscarinic (M1, M5) receptors.